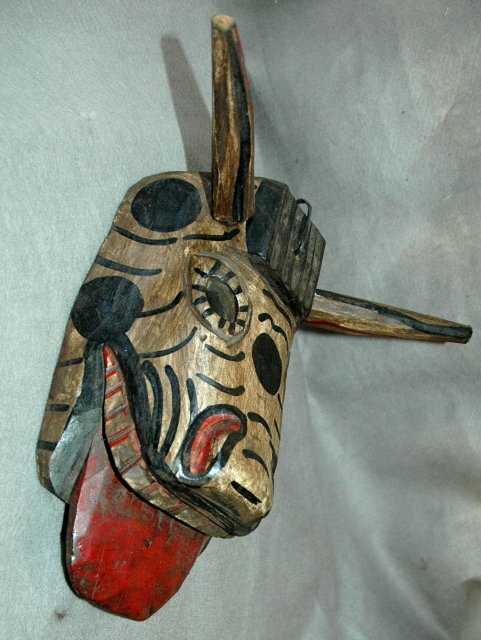 Hand Carved Wood Toro Bull Mask with horns and it's tongue sticking out. 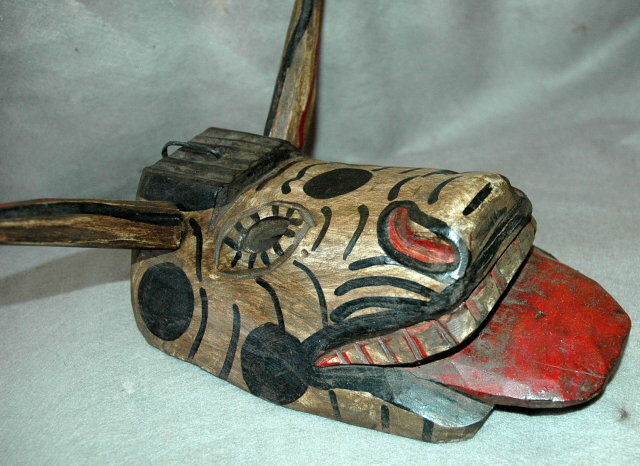 This is an Old Guatemalan Folk Art Ceremonial Mayan Mask from the area of Chichicastenango. 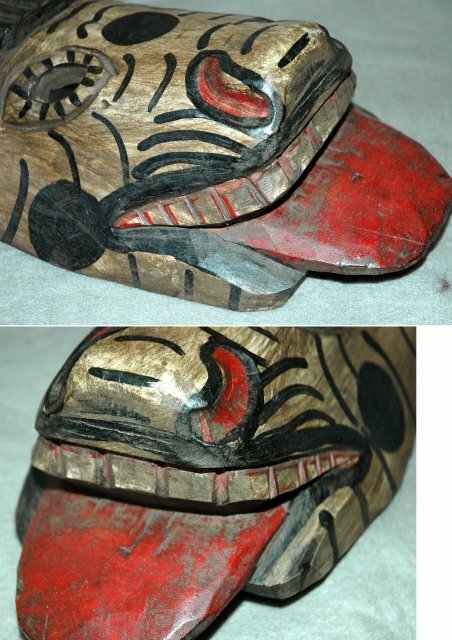 He is rustic but in good condition. There is some dust in the groves of the carving. 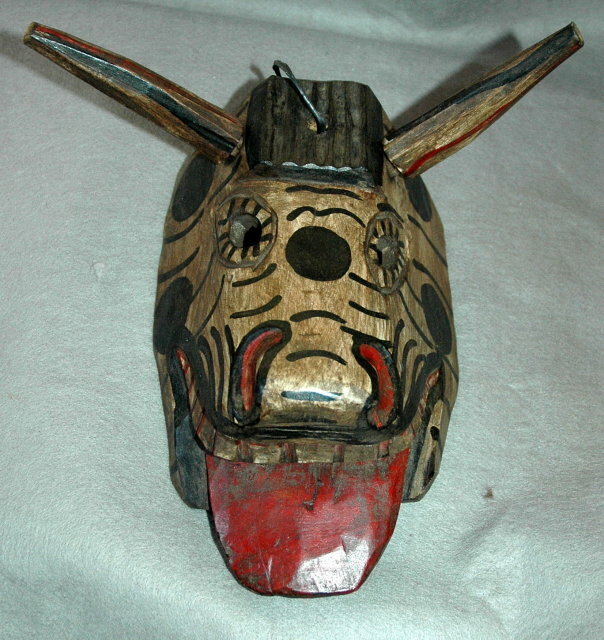 The horns that are carved of wood can be removed for shipping. I did not include them in the measurements.